Serving the Memphis, TN area! 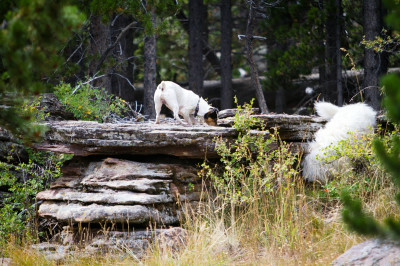 Dog Solutions Pest Control isn't your typical pest control business. We only offer a few services, but the services we do offer, we do extremely well. Are geese harassing your employees or customers as they visit your location? Leaving a mess and tearing up your greenery? Click below to learn more about how our dogs can solve your problems! Worried about bed bugs after a stay in that seedy motel? Want to ensure your business doesn't get a reputation as the seedy motel? Click below to learn more about our future service! Rats are smart and quickly learn to avoid traps and poisons. Through the use of predators, they can be effectively driven away. Click below for more information! When man and dog first bonded, dog helped man hunt down animals, and protected the village with warning barks. Later dogs would be used to herd our sheep and cattle. With the advent of better technology, the jobs dogs are used for have changed, but not disappeared. In today's modern age, dogs can still be just as useful. The dogs here at Dog Solutions Pest Control chase geese off of properties until they decide to call a different property home, all without harming them. 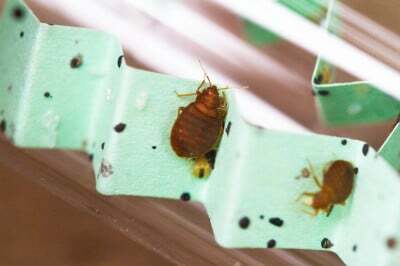 They find live bed bugs to prevent a few bed bugs from becoming a reputation destroying infestation, whether they are in a private home or a public business. And they kill rats when other means continue to fail.